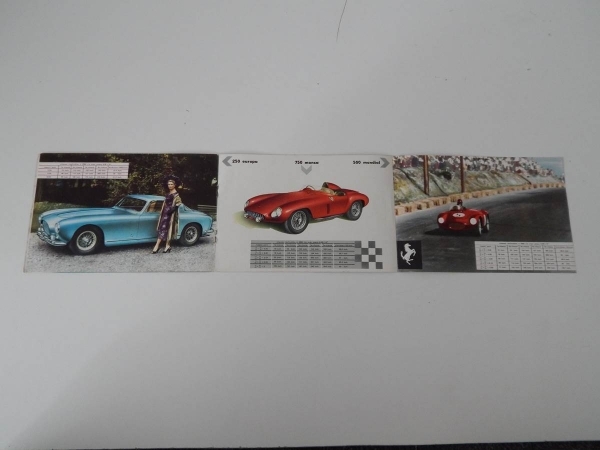 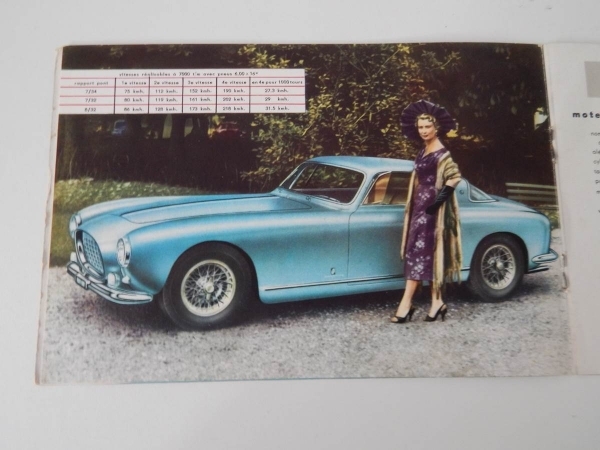 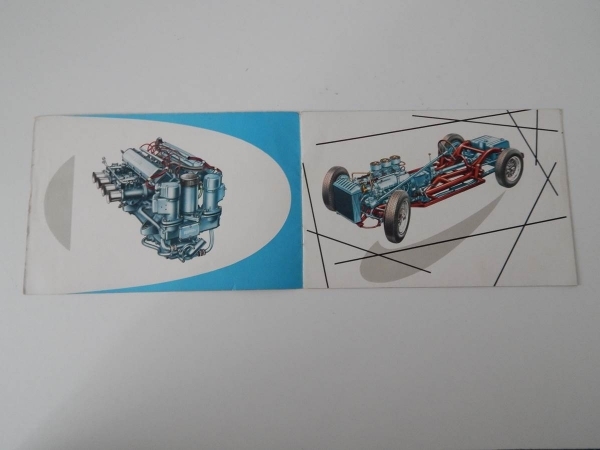 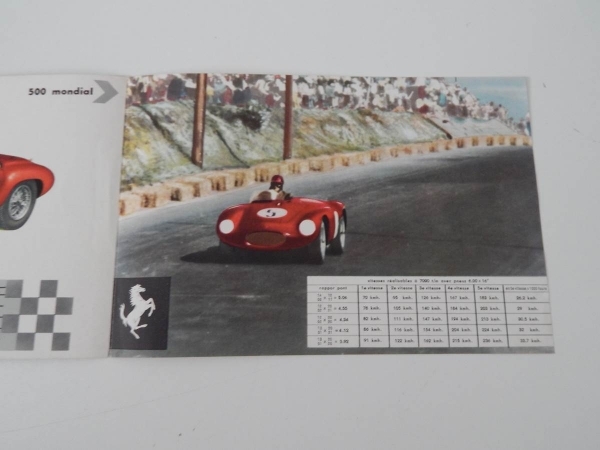 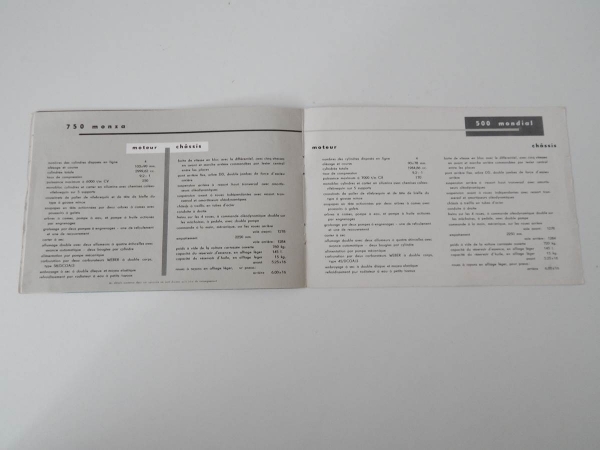 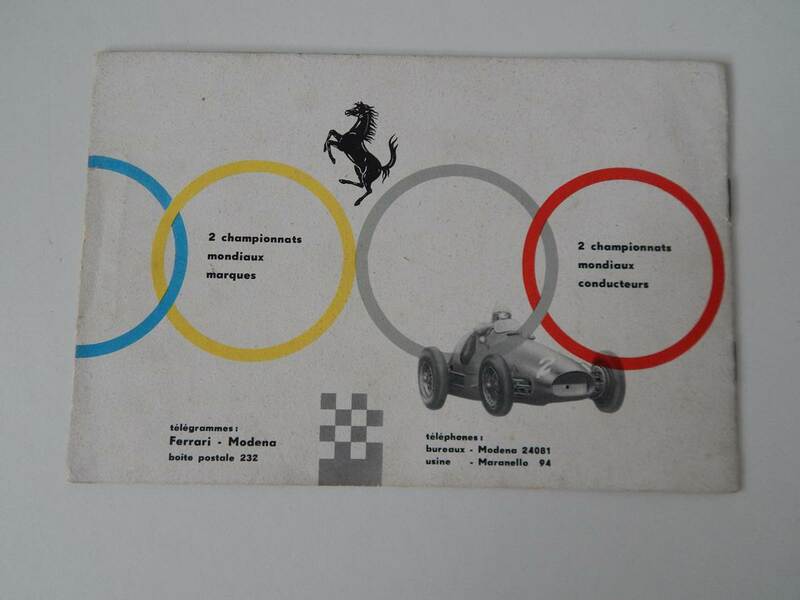 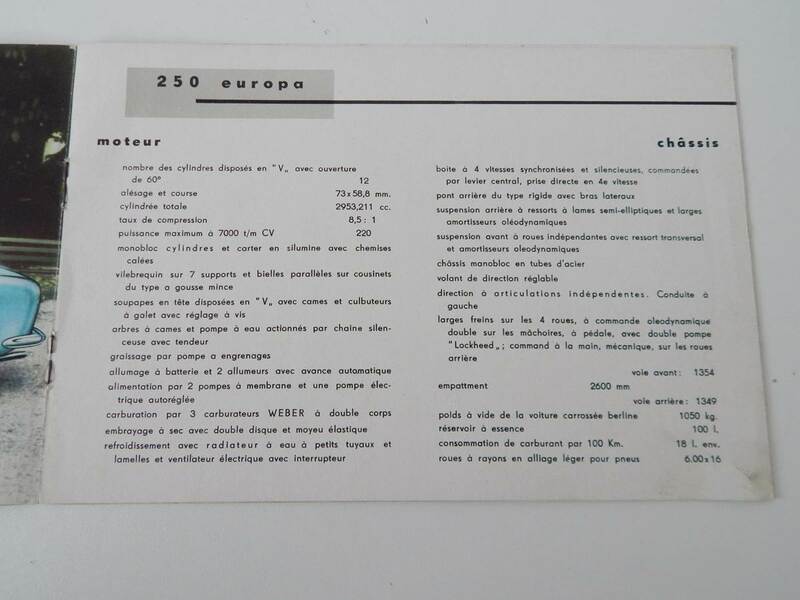 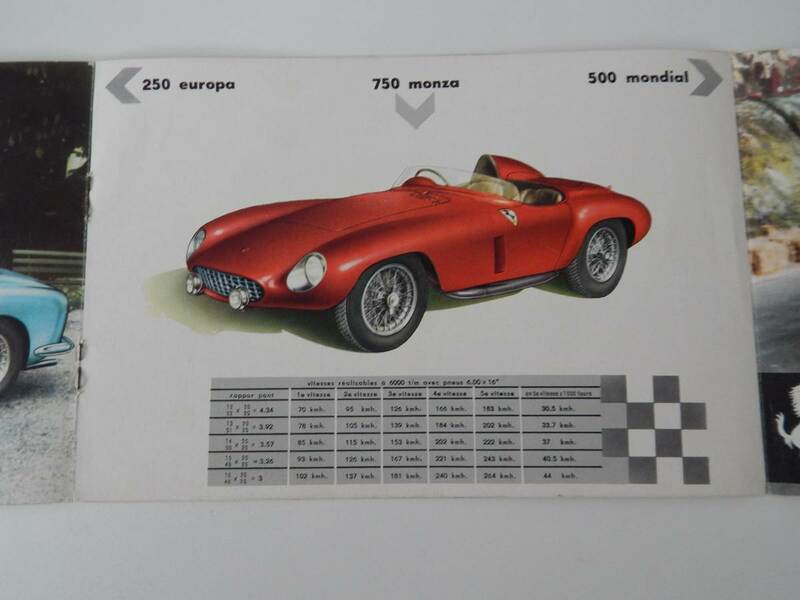 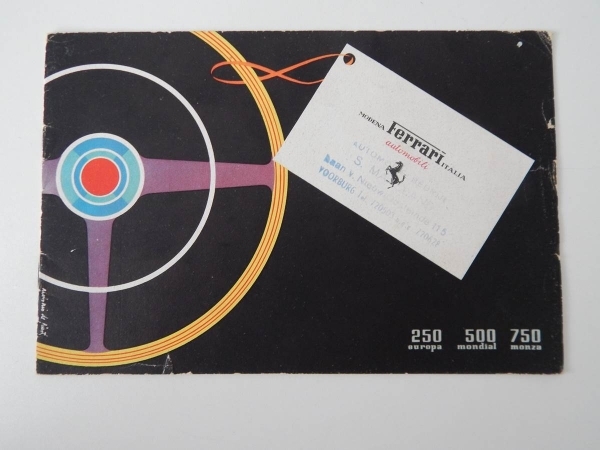 Original Ferrari 250 Europa, 500 Mondial and 750 Monza sales brochure. 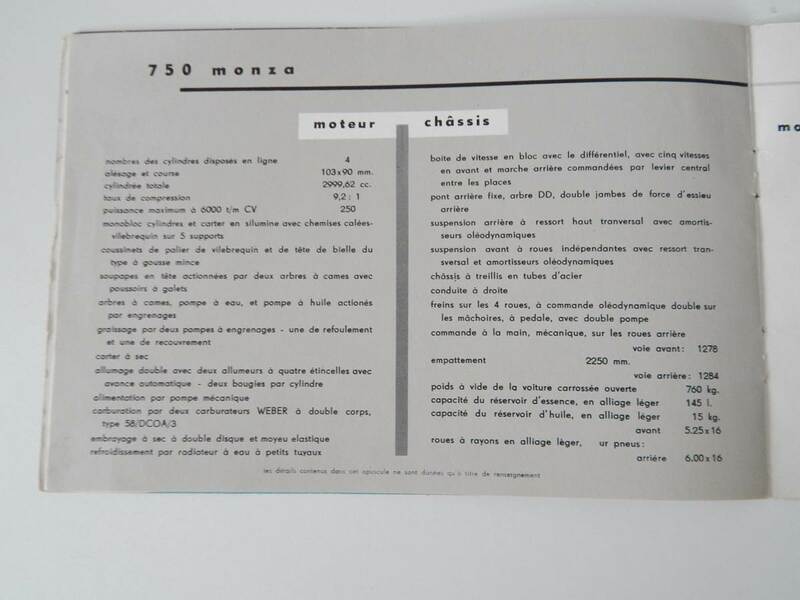 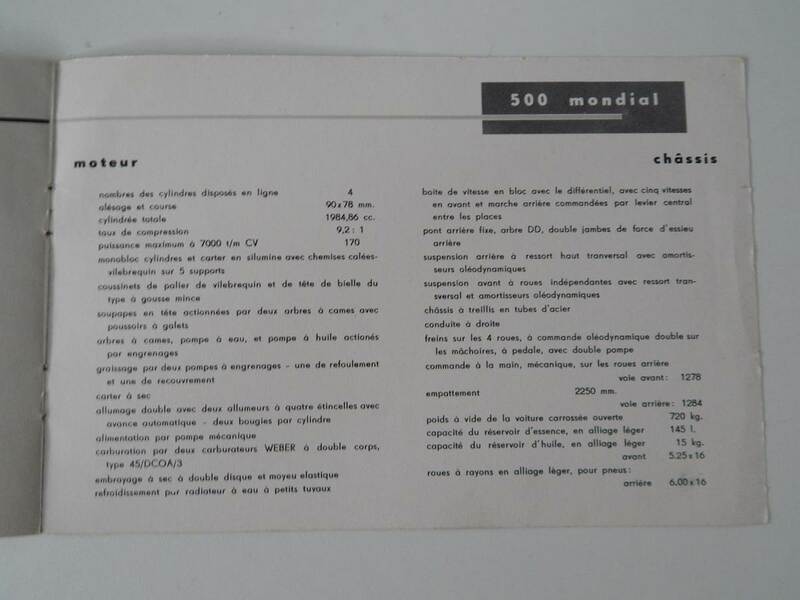 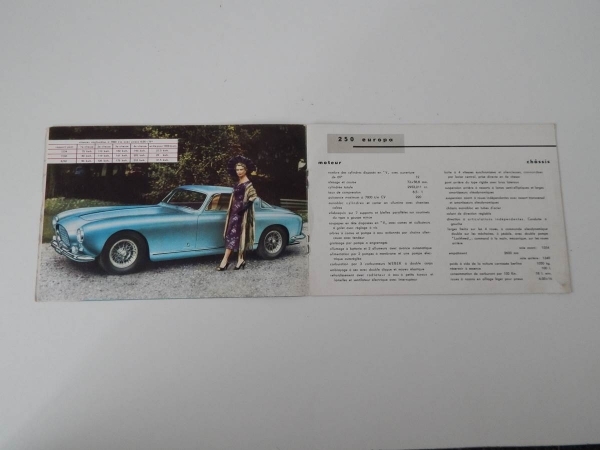 In French, this brochure is extremely rare, and shows photos and technical specifications for each of these cars. Considering it is over 50 years old, this brochure is in superb condition.